The new-generation Passat will have a base price of $20,000 when it goes on sale in August. 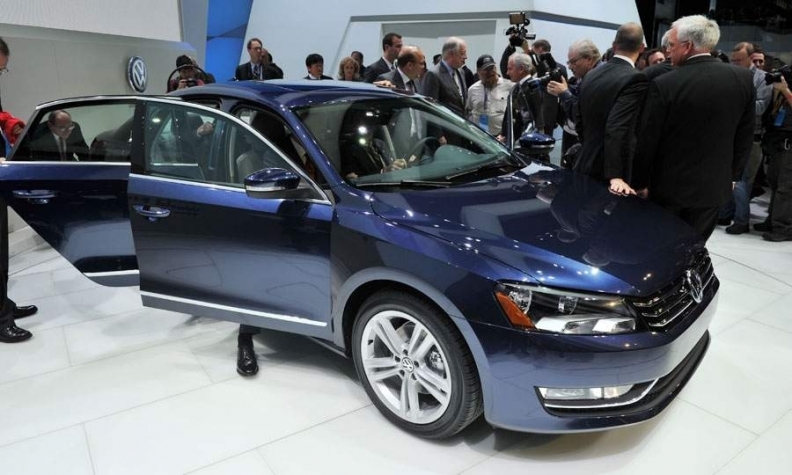 DETROIT – Promising to “change the rules” in the mid-sized car segment, Volkswagen today unveiled a Passat that is larger, cheaper and assembled in America. The new-generation Passat will have a base price of $20,000 when it goes on sale in August, said Jonathan Browning, president and CEO of Volkswagen of America. It will be the first model built at Volkswagen's new U.S. assembly plant in Chattanooga, Tenn., when it starts series production in the second quarter. The new model and the plant are critical parts of the German automaker's plan to triple U.S. sales of Volkswagen and Audi to 1 million units by 2018. In 2010, Volkswagen of America sold 359,889 light vehicles in the United States, up 21 percent from 2009. “We have a long way to go, but we are clearly on the move,” Browning said. 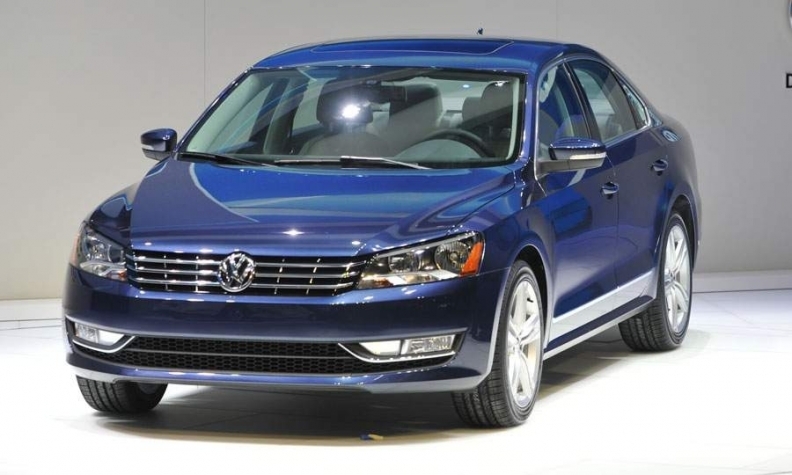 “The Passat will become our second-best selling car,” behind the Jetta sedan. In 2010, VW sold 12,497 Passats. It was the lowest volume VW car in the U.S. VW lineup except for the Eos convertible. It was far outsold by VW's compact car, the Jetta, which had 123,213 sales. The new Passat has design differences specifically for the U.S. market. Modifications include a longer 110.4-inch wheelbase, which provides more back seat room than the European version. The overall length is 191.7 inches. Volkswagen has used this approach before on the Passat. Last decade, VW's Czech-based subsidiary Skoda introduced a longer-wheelbase version called the Superb. The additional back seat room was a modification aimed at Central European markets where such sized vehicles were often used with chauffeurs for businessmen. Ironically, when the Passat was being introduced in the Chinese market, VW quietly used the larger Skoda body style there. VW's new Tennessee plant will create 2,000 direct jobs and 10,000 more jobs at suppliers, Browning said. “That's 12,000 jobs,” he said, standing before supplier executives and politicians and a series of supplier employees waving “1-2-0-0-0 J-O-B-S” signs. Browning described the U.S. Passat as a notchback sedan with a coupelike roofline. It will come in three trim levels and offers 16 equipment levels. It has three engine options. A 2.0-liter, 140-hp four-cylinder turbo-diesel with a five-speed manual transmission is the most fuel efficient, expected to deliver 43 mpg highway. It can be paired with an optional six-speed dual-clutch transmission. A 170-hp five-cylinder gasoline engine comes with the five-speed manual or an optional six-speed automatic. The third engine is a 3.6-liter V-6 with 280 hp. It comes with the six-speed dual-clutch transmission.